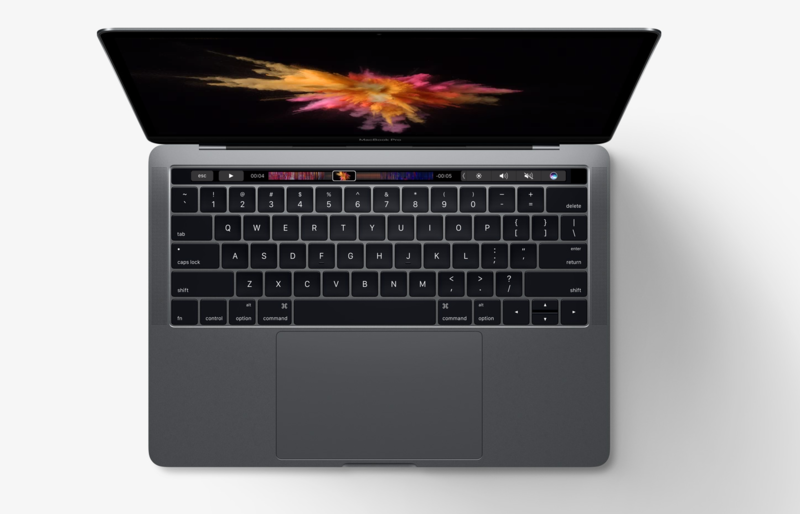 After four years, Apple has finally made some significant changes to its MacBook line up, with a brand-new MacBook Pro announced today. Thinner and lighter than the MacBooks before it, the new MacBook Pro is smaller, but still comes in 13-inch and 15-inch models. The biggest change on the new MacBook Pro is that Apple removed the top row of keys on the keyboard, replacing it with a Retina touchscreen display called Touch Bar. That top row has been home to the escape button, volume and brightness controls, and other function keys for years. Touch Bar is an adaptable control bar that changes depending on the application you’re using on your computer. It’s customizable, so you can program it with the features you use most often. It also includes a Touch ID reader, built into the power button, so you can unlock the MacBook and authorize Apple Pay payments with your fingerprint. That feature has only been available on iPhones and iPads until now. Other key features of the new MacBook Pro are an all-metal design and a Force Touch trackpad that’s twice as big as before. It also has four USB Type-C ports, which work for charging, connecting to a display, or transferring files. One thing missing? The MagSafe charging port, which MacBooks have used since the early days to protect against the laptop flying across the room if you trip over the charging cord. If you’re ready to pick one up, the new MacBook Pro costs $1799 for the 13-inch, $2399 for the 15-inch and they go on sale today. Want to save some money? You can also pick up a MacBook Pro 13-inch for $1499 that has the same design as the more expensive models, but doesn’t have Touch Bar or Touch ID. It’s also available now.